The knee joint is one of the most common to develop significant Arthritis with chronic pain, inflammation, and immobility. The cartilage inside the knee joint progressively breaks down leading to bone-on-bone friction and this friction is a constant source of pain. A rotator cuff injury is often persistent and the healing process last months. In many cases, the shoulder doesn’t fully heal leaving a person susceptible to weakness, pain, and stiffness. In severe cases, surgery for a rotator cuff tear is recommended but I am here to tell you that this surgery can be unnecessary. Many professional athletes are choosing to receive non-surgical Stem Cell Therapy rather than invasive orthopedic surgery after an injury. Stem Cell Therapy has a proven track record as a safe and effective alternative to surgery. If you are considering surgery for ligament or tendon injury, you may want to first consider Stem Cell Therapy. Everyday, I help patients avoid surgery with Stem Cell Therapy and currently, it is the number one non-surgical alternative to surgery. Professional athletes turn to stem cells to avoid season-ending surgery and many athletes credit the treatment as the most important part of their recovery process. 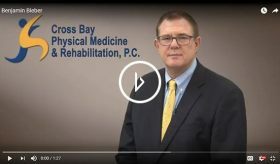 At Cross Bay PMR, our sole focus is relieving pain and healing injuries through non-surgical medicine. Such treatments accelerate the process of recovery and give you fast pain relief. Afterwards, a physical therapy program is implemented to further one's recovery. Stem Cell Therapy can be used as an alternative for Shoulder surgery to treat chronic and painful shoulder conditions. Shoulder surgery can often be a major procedure with many risks and complications. Even a simple shoulder surgery may leave one with scar tissue that wasn’t present prior to the surgery. Stem Cell Therapy is great for Rotator Cuff injuries as well as other shoulder conditions such as arthritis and labrum tears. Why is it that with a bad knee injury: torn meniscus, ligament tears, we automatically think we have to go in for surgery to fix it, which is not only expensive but also risky? I am sure you have heard about stem cells before. 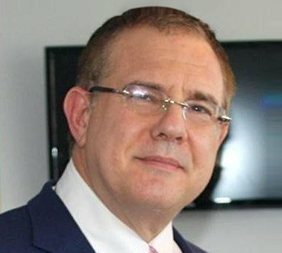 In orthopedic and sports medicine, non-controversial adult stem cells, taken from a patient’s fat tissue and/or bone marrow, are being used to rapidly heal injuries that were once thought of as "unquestionably" needing surgery. I am sure that you have heard about Stem Cell Therapy, a safe and viable way to quicken the healing process of many different types of injuries. Stem Cell Therapy has a proven track record to not only alleviate pain and help one recover their mobility but also help patients completely avoid even needing surgery. Stem Cell Therapy is the most effective non surgical treatment to potentially avoid surgery altogether. Patients are demonstrating that, through Stem Cell Therapy, their injuries are healing and they can get back to normal activity without surgery.